The cooler weather in fall is easier for the plants and gardeners alike. The ground isn’t semi frozen and not too dry and the weather isn’t too warm or cold. The plants won’t get too stressed because they won’t be subjected to extremes in weather and hence can recover faster after planting. There is no need to plant right away because you won’t have to worry about plants drying up or the ground being too hot. As for trees, planting them when they’ve lost their leaves is actually better because they won’t have to exert energy growing leaves and can focus on growing roots. This is the biggest fall advantage, helping the plant grow better roots so that they’ll have energy to display gorgeous foliage and blooms come spring time. The fall to spring transition is quicker than waiting for a full year before getting to see the results of your handiwork. You won’t have to water as much in fall, so that’s less maintenance effort from your part. You will also not have to baby sit new plants and fret about whether they will survive or not because of the overall milder weather. A good tip for planting in fall is to water the plants in their pots a few hours before you transport them to their new homes. This lets them soak up water and be better prepared for planting. Water the hole they’ll be placed in too before planting. Fall allows you to see sparse areas of your garden that need more plants. It is the best time to plan out next year’s garden and start planting it. You’ll know exactly how the other plants look like and how much space they take when they got foliage and blooms, allowing you to add pops of colour where you know you need it. Gardening supplies are typically at their peak prices in spring but are cheaper in fall when some shops even close their business for the winter. Shop for non-perishable supplies, seeds, and maybe some bulbs in fall. You can probably get gardening tools at discounted prices and perhaps some fertilizers, netting, pebbles, and similar things. Watch out for sale in pots too! Dreaming of finding an Oakville home before the year ends? Contact us so we can let you know about the newest Oakville luxury homes to go on sale as soon as possible! 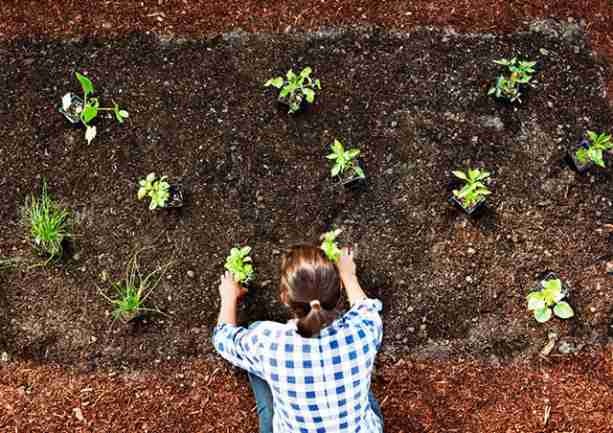 You might even get to work in your new home’s garden before fall gives way to winter!